This post marks quite a lot of firsts: 1) the first week of Tuesdays With Dorie: Baking With Julia; 2) the first time I've baked white bread from scratch and 3) the first project I've tackled with my brand-new stand mixer. I'm happy to report success on all three counts. Just take a look at this beautiful ball of dough. 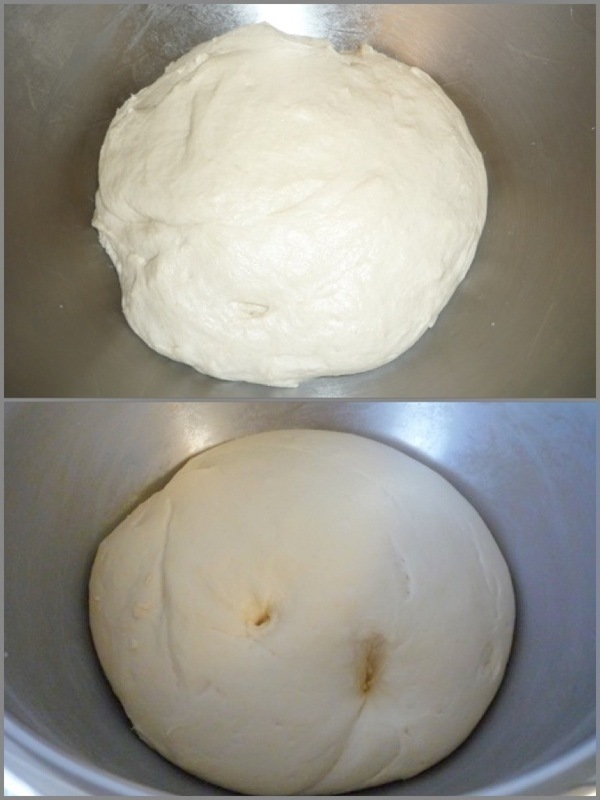 The top photo is just out of the mixer; the bottom is after it rested and got plump and fat. I felt kind of bad poking the dough ball and leaving craters, but I was just following instructions to test its readiness, honest! Then came another resting time so that it doubled again, but the wait was definitely worth it. One loaf came out a wee bit higher than the other, but both were equally tasty. After reading other posts and some bread tutorials, I will probably try kneading the dough by hand just so I have a better idea of what a dough ball should look like at different stages. 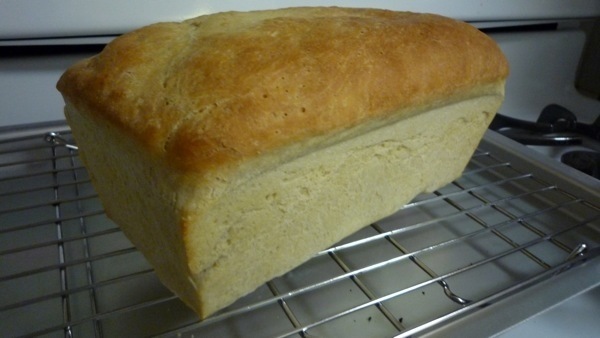 Want to try baking bread too? You can find the recipe at Slush and Someone in the Kitchen, our hosts this week for this first installment of TWD: Baking With Julia. Thanks, Laurie and Jules! Your bread looks beautiful! Congrats on all of your firsts! Woot! Congrats on so many accomplishments. Your bread looks so pretty and golden. One of my loaves came out a little larger than the other as well - I wasn't sure if it was because I divided the dough unequally or because the size of my pans might have been slightly different since one of them was a vintage pan. I think your bread looks lovely. And tasty!